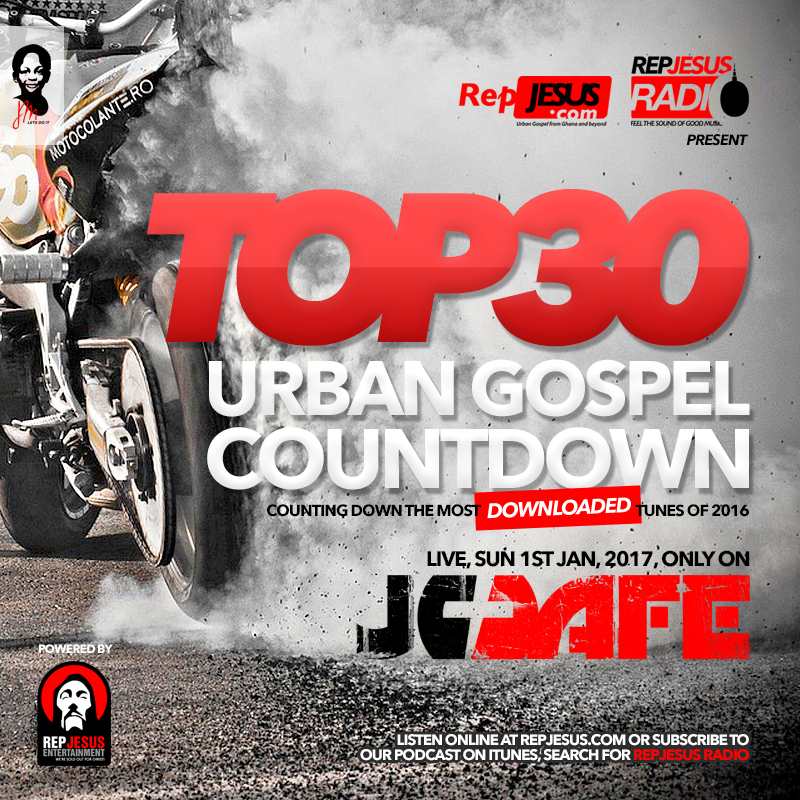 Latest episode of JCCafe featuring the top 30 most downloaded joints countdown for 2016. This is very exciting. Who made it to the top spot? Listen and find out. Congrats to all the ministers who made it into the top 30 charts and to all ministers putting in work and putting urban gospel on the map! It's gonna be a bigger and better 2017 for urban gospel. Keep working hard and never compromise on quality. If it's not good, go back to the drawing table and redo it, seek advice from the pros and keep at it till it's right, then put it out there. It's clear the fans know what a good sound is and will not waste their time downloading your tune if it's not up to standard. In all, give off your best and let God do the rest. Much love. To a better 2017.